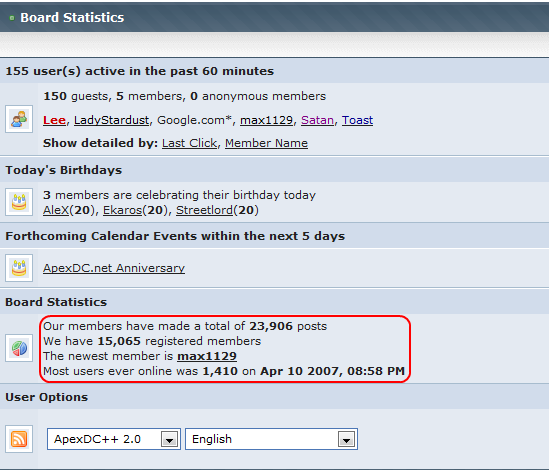 We are extremely delighted to announce that ApexDC++ has surpassed 3 million SourceForge downloads. That's well over 15 terabytes of data transferred on average, and we're rapidly increasing our downloads per day. Furthermore, this is only measured downloads off SourceForge, and many direct donnect community websites offer ApexDC++ on external mirrors. We believe the estimated figure is in excess of 5 million. No permission for attachment . Now that is nice !